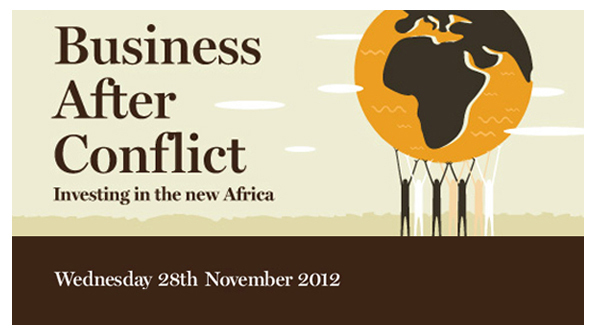 IFC, IFC’s Conflict Affected States in Africa Initiative (CASA), and “This Is Africa”, a Financial Times publication, are hosting Business After Conflict in Nairobi on November 28, 2012. This one-day conference will bring together high-level representatives from government and business to discuss investment opportunities in countries recovering from conflict, with a focus on Sierra Leone, Liberia, Cote d’Ivoire, Guinea and South Sudan. Bringing together investors, risk analysts and senior politicians, the event will address risk perception and reality, and how it affects financing and insurance. The programme will also offer insight into investment dynamics, reform ‘credibility’, the donor tools available to support investment and conflict-sensitive business practices. Participants will hear success stories from businesses that have flourished in post conflict states. To help publicize the event, IFC has launched a photo competition open to African nationals that is seeking images of the private sector benefiting communities in post conflict countries.